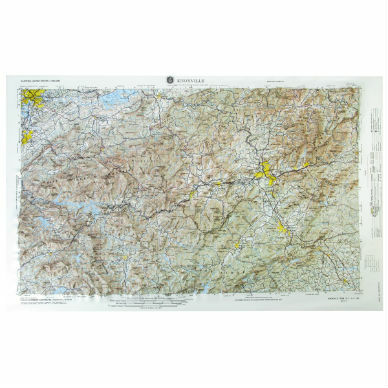 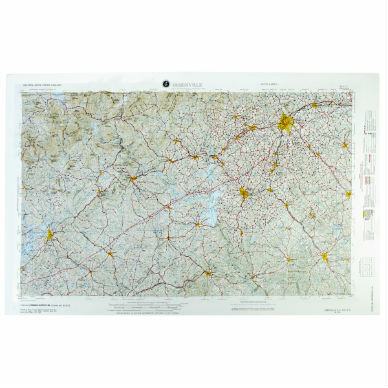 The elevations on this rigid vinyl North Carolina Relief Map are color coded, showing the state’s physiographic regions at a glance. 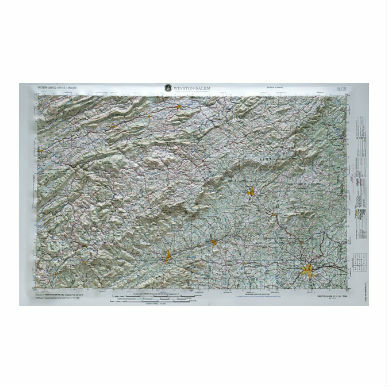 Size: 19″ x 40″; scale 1:875,000; 1″ = 14 miles. 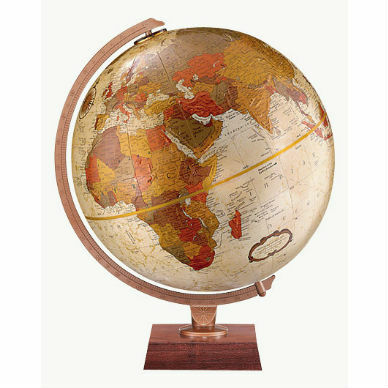 Please note: these items have a $5.00 handling charge due to size and shipping.